Effective inline undercounter water filters utilising ceramic/carbon/KDF filter mediafor removal of a wide range of contaminants - enjoy pure, safe water from your kitchen tap. Puriflow offers a wide selection of effective undersink inline water filter UK systems. Our undercounter filters are designed to reliably eliminate the broadest range of water contaminants and impurities, ensuring that you get to enjoy is 99% safe, pure, great tasting water free from any toxic contaminants. The undercounter inline drinking water filter is a popular and very cost effective choice in water purification in the UK. Together with reverse osmosis water filter, the systems we offer have proven to be among the most efficient and effective inline water filters in the UK for both home and workplace use. Our inline water filters are able to remove bacteria, protozoa, and microbial cysts and in conjunction with a high-performance activated carbon core either incorporated in the ceramic filter cartridge or in configuration with a second cartridge also reduce organic & metallic contaminants. The active carbon efficiently absorbs compounds such as chlorine, VOCs etc. The highly advanced patented 'Active Ceramics' cartridge will remove a vast array of chemical agents including fluoride and has a three year life span before replacement. Additionally, the Active ceramics cartridges will increase the alkalinity of the water as well as giving improved taste. Other filtration media employed may include KDF and GAC (Granular Activated Carbon) and carbon block. 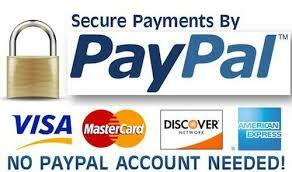 We offer two main categories of undersink water filters. The first is the regular type of filter which connects to the cold water supply by means of a self piercing saddle valve or a Slip T valve and is connected to the filter via a 1/4" or 3/8" pipe. 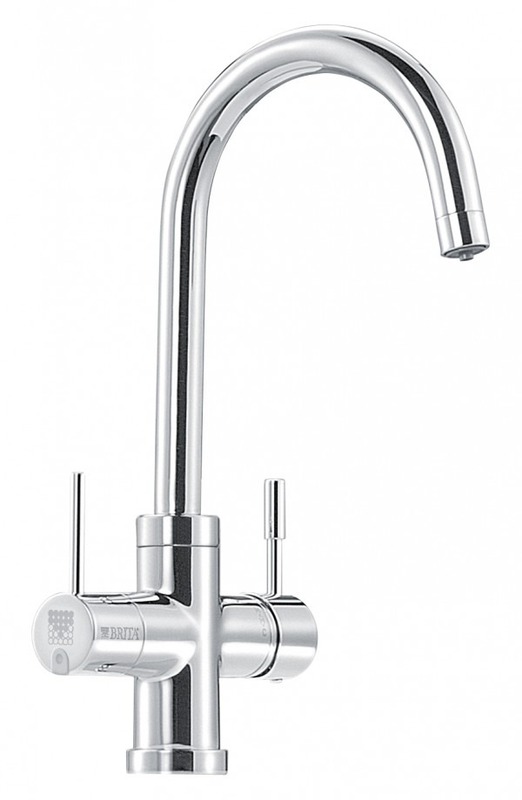 This then runs from the filter unit to either a seperate filter tap or a stylish and convenient Triflow kitchen tap. The second type is a direct inline filter which connects straight in to the 15mm supply pipe. 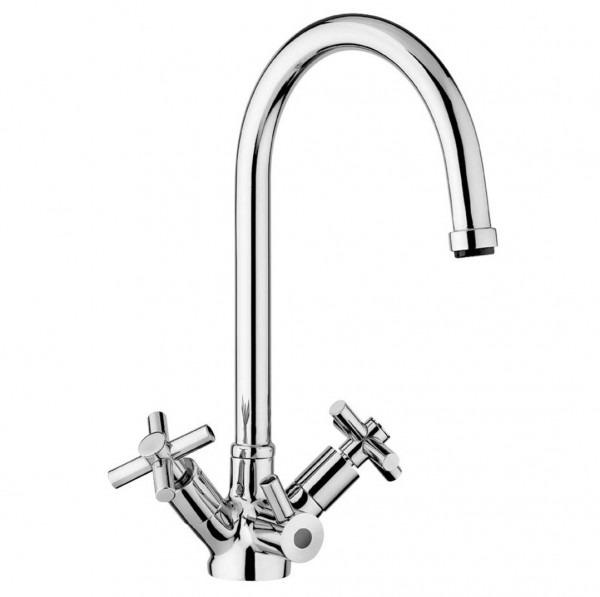 One attractive advantage of this type of water filter is that in addition to having a far higher flow rate, they make use of the existing kitchen tap so there's no need to drill another hole in the work top or to buy a Triflow tap. Why choose an inline water filter? With the advanced filtration technology, there is no longer any need to carry home & dispose of endless plastic bottles of expensive water of questionable quality when inline under sink systems offer a more convenient and budget-friendly water filtration method meaning the small investment in a filtration system will save you money, paying for itself many times over. Designed with users' needs in mind, our undersink water filter UK systems come with a host of benefits for maximising the enjoyment of your drinking water. The systems are situated under the sink or in the kitchen cabinet and you can, therefore, choose the best size & combination to suit your individual water filtration requirements. 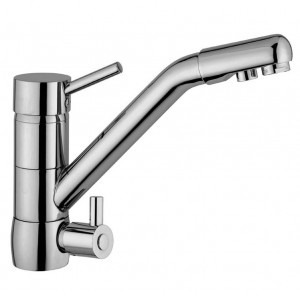 The popular Osmio EZFIT series are particularly easy to install and just require the removal of a small section of the water pipe to then be connected with their 15mm push fit connectors - it really is that simple, and because they fit onto the normal water supply pipe to the kitchen sink, there’s no need for a seperate or replacement water tap. An alternative to the inline water filter also worth considering is a whole house water filter which can provide pure water everywhere throughout the home at a very economic cost. Also worth considering if you are concerned about the effects of chlorine in your water is a shower filter. Inexpensive, effective and very simple to fit (you can even take them with you to use on holiday) they make an ideal solution to the problem of inhaling damaging chlorine vapour every time you have a shower. An undercounter water filter from Puriflow Filters makes the ideal solution improving drinking water quality in your home, reliable & cost effective. Get yours today and start enjoying the benefits of freshly filtered water in your kitchen. The H2O Pure Life 6 Stage Undercounter Water Filter System The H20 Pure..
H2O 6 Stage Advanced US3 Water Filter Cartridge The H2O 6 Stage Advanced US3 .. The H2O 6 Stage Advanced US3 Water Filter System The H2O 6 Stage Advanced US3 Water Fil..